Creating SOLUTIONS and WORKING with you to improve your website. Check out our services and see what we can do for your site. We have a 100% success rate in recovering sites from Google Unnatural Links Warning penalties. Our primary goal is to remove your penalty while retaining as many healthy links as possible so that you can recover your rankings. We have succeeded where others have failed. A notice that your website has been put on probation by Google is devastating no matter what size is your business. Google gives no warning; and if you are like most business owners you hired an "expert" to help build and promote your site. The problem is that they may be doing things that in the short term Google doesn't discover but are totally against their rules. When our site was put on probation it did not take long for me to determine that I did not have the expertise, tools or the time to figure out what to do. I was very thankful that I found Jody McCombe who knew how to resolve the issue, notify Google and get us back up and running again. Her knowledge and professionalism was most refreshing to where she is now one of our trusted advisors on all things web. 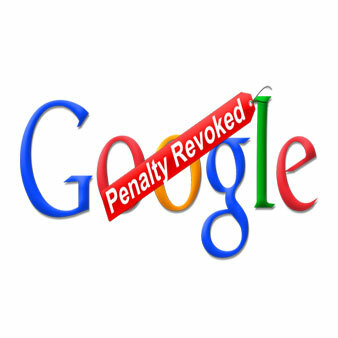 So, don't try to resolve a Google penalty yourself. Bring Jody in at the beginning and you will save time, money and your business. I can highly recommend Jody McCombe to anyone who is looking for professional help in getting an unnatural links penalty removed. Jody trained under me and I have been extremely pleased with how successful she has been. She is very good at determining which links need to be addressed, getting a good number of links removed and crafting an effective reconsideration request. Jody has successfully removed the penalty for every penalty removal job that I have sent her way.